License plating is primarily used to distinguish a pallet, product carton or item with a unique serial number or other random number. A bar code label can be created, which itemizes part numbers, quantity, inventory status, location, lot number and creation date. A License Plate could also be a truck or other shipping container. 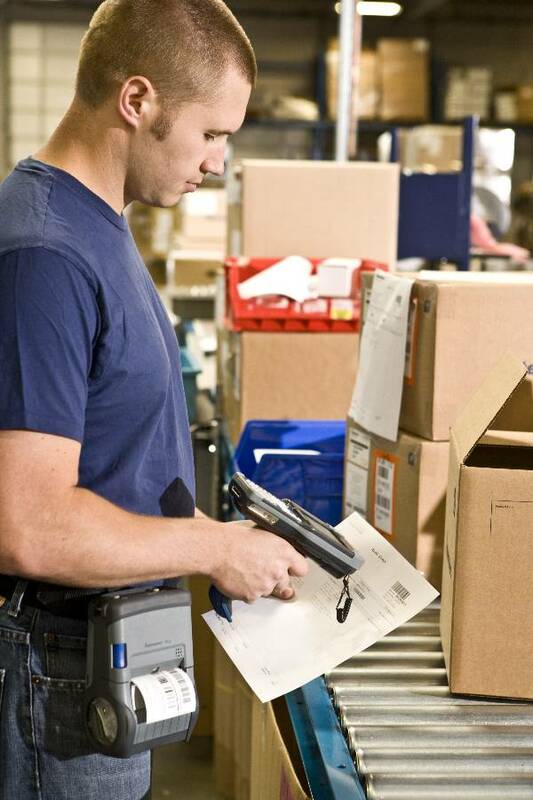 Simply scanning a license plate label, which contains the serial number barcode format, allows the ability to completely identify goods in transactions, such as receive, move, production or shipping. License plating substantially reduces the number of scans necessary to enter a transaction since only one barcode or RFID tag needs to be scanned to identify all of the product information. RFgen’s License Plate Module seamlessly integrates into JD Edwards EnterpriseOne Inventory, Manufacturing and Distribution modules to better track inventory, reduce paperwork and increase warehouse efficiency. Create Licence Plate – [JDE Ref: N/A]. This transaction allows you to build a license plate that will be held in the License Plating database in the master tables. Attach Item to Licence Plate – [JDE Ref: P4113]. This transaction allows you to attach items to an existing license plate that will be held in the License Plating database in the master tables. It creates a transfer of an item from its location to the location that the original license plate resides in if they differ. Detach Item from Licence Plate – [JDE Ref: P4113]. This transaction allows you to detach items from a existing license plate that will be held in the License Plating database in the master tables. It creates a inventory transfer of the item from the location stored in the license plate table to the selected location if they differ. Transfer Plate to a Different Location – [JDE Ref: P4113]. This transaction allows the transfer of License Plate locations. The transaction creates a transfer for all of the items on the License plate, updates the Cardex record and updates the LP Master with the new location. Pick to Licence Plate – [JDE Ref: P4205]. This transaction allows you to run an EnterpriseOne Sales Order Pick Confirm and attach the picked items to a license plate. Once this process is complete it is possible to run License Plate Transfer and License Plate Ship Confirm. Ship Confirm Licence Plate – [JDE Ref: P4205]. This transaction allows you to Ship Confirm an entire License Plate at once. It includes an additional option allowing you to Ship Confirm only one Sales Order or a specific Sales Order line. This transaction requires that LP Pick Confirm has been performed. Work Order Completion to Licence Plate – [JDE Ref: P31114].This transaction allows you run EnterpriseOne Work Order Completions and attach the completed items to a license plate. Once this process is complete, the License Plate can be transferred or attached to a Sales order using License Plate Pick Confirm.